You are going to Watch Night Raid 1931 Episode 1 English dubbed online free episodes with HQ / high quality. Stream Anime Night Raid 1931 Episode 1 Online English dub Crank Up On Board the Ship. This is a DVD-only episode which is a prologue to the main storyline. The members of Sakurai Kikan board a ship on route from the Port of Kobe to Shanghai. 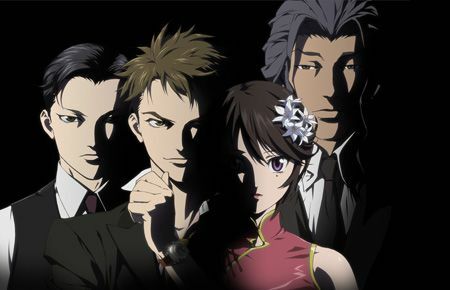 Their first mission is to investigate a series of mysterious disappearances of women who left for Shanghai by way of Kobe and Nagasaki. The one thing they all had in common is that they were scouted as new actresses by a movie company, whose president Kakinuma Senzou is suspected to have underground ties with the Green Gang. Accompanying him is his Chinese “coordinator”, Cui Qinglin , whom together turn out to be running a human trafficking ring using the movie company as a front. Sakurai had each of his members acting independently without any knowledge that the others are also working on the same mission. It was his way to test how they would handle things despite the presence of other undercover agents. The mission becomes successful and the culprits are apprehended.